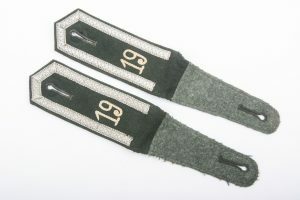 A very nice pair of M40 Heer NCO shoulder boards for a Feldwebel der Pioniertruppen. 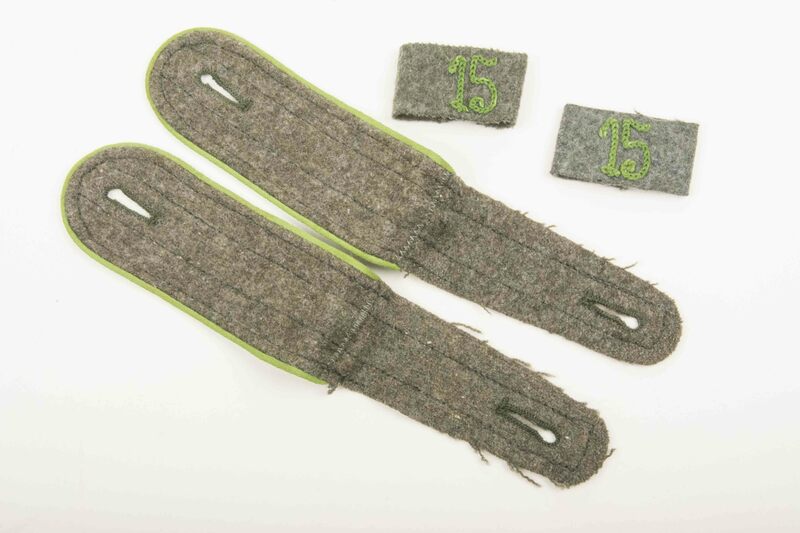 Nice matching mid war pair of shoulderstraps for a Waffen-SS Kanonier der (Sturm)Artillerie. The set is in mint condition with red rayon piping. Would be perfect to match to a mint tunic. 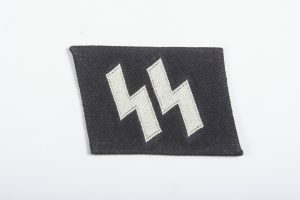 These original Waffen-SS EM shoulderstraps are very hard to find! 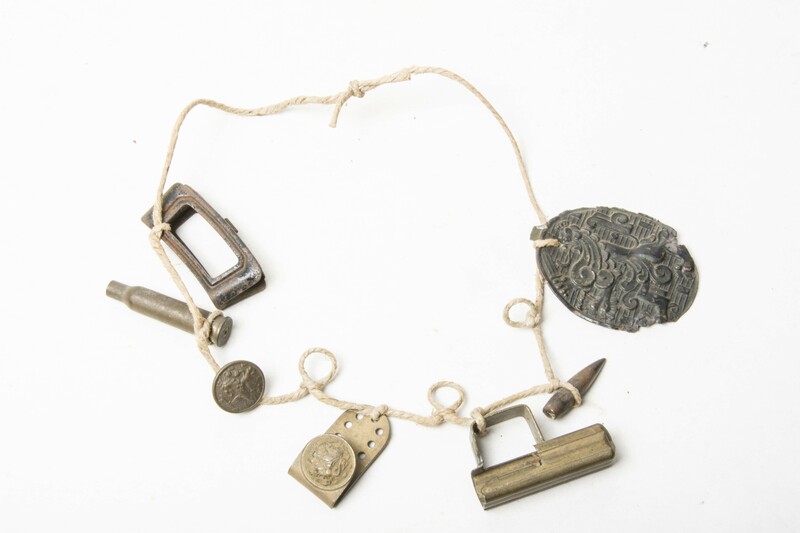 A great original set of shoulder boards intended for a Kanonier (EM) in a Artillerie unit. A nice set in very good condition. 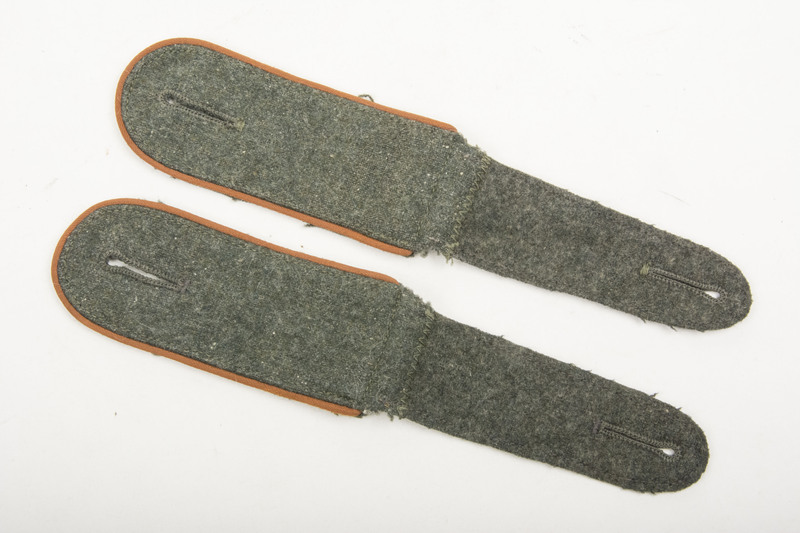 Rare matching pair of m43 pattern Sanitäter shoulder straps in unissued condition. 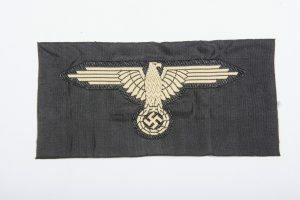 The pair is nicely dark blue rayon piped indicating Sanitätstruppen and finished with late subdued Unteroffizierstresse with the rank of Unteroffizier. There are a few small moth holes on the top, otherwise a mint exceptionally rare pair of shoulder straps. 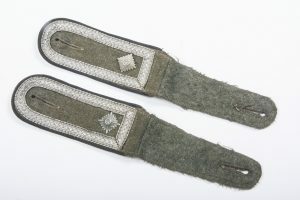 A original minty and matching pair of white rayon-piped Infantry EM Heer shoulder straps. 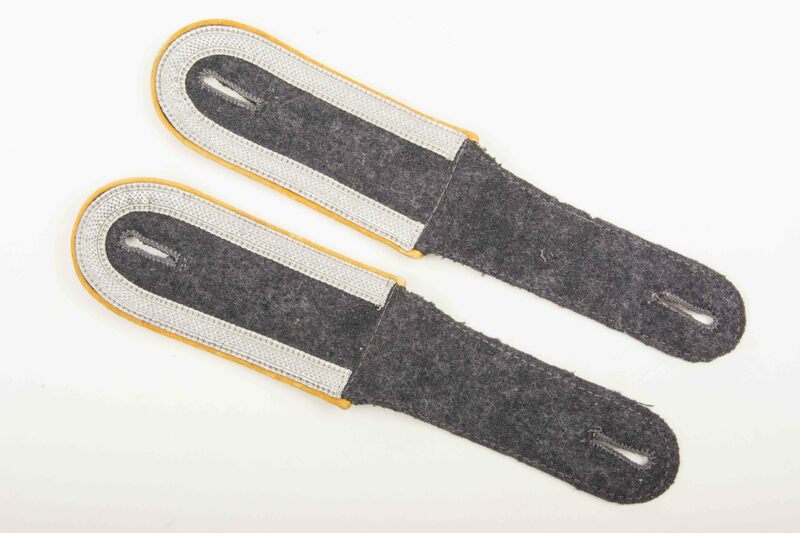 The straps are a perfect matching pair for a Heer tunic and are very hard to come by. 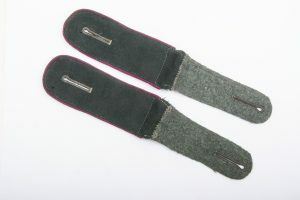 Stunning pre war pair of pointed style EM Panzerjäger shoulder straps in mint condition. Nicely pink embroided P and unit marked inside. The straps are matching and would be impossible to upgrade. 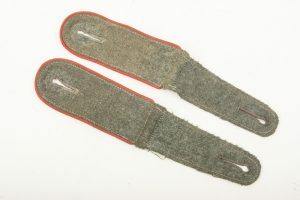 Hard to find pair of Heer EM shoulderstraps for Kradschützen. 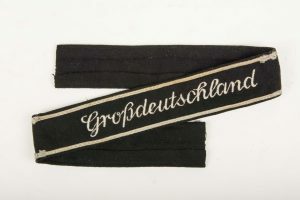 These shoulder boards where worn by Kradschützen, troops mounted on motorcycles with sidecars. These troops where one of the first fast response units which saw lots of action early in the war. 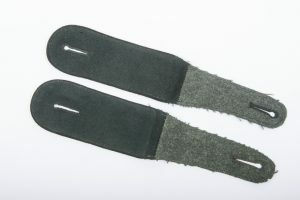 These shoulderstraps have the copper brown rayon piping typical for the Kradschützen. 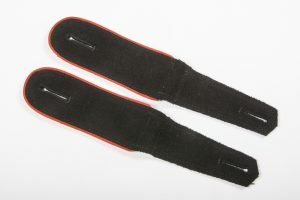 Extremely hard to find pair of shoulderstraps! Stunning pre war pair of pointed style EM Artillerie shoulder straps in mint condition. 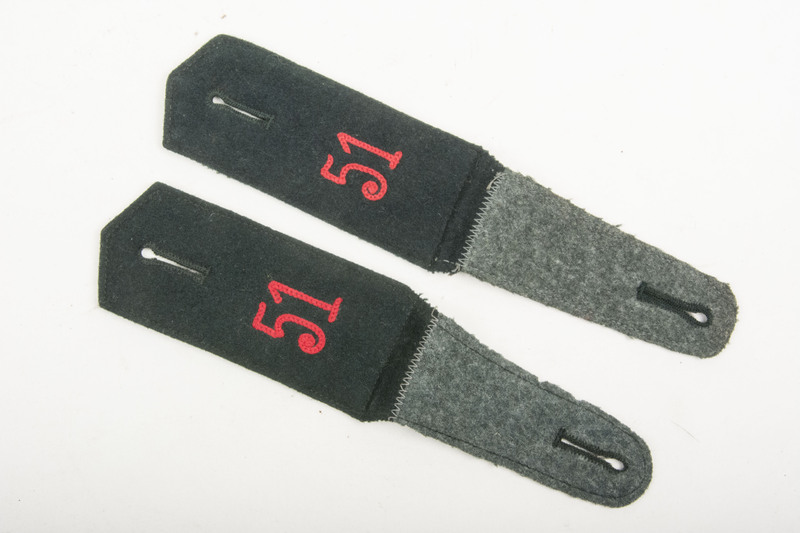 Nicely red embroided 51 for Artillerie Regiment 51. The straps are matching and would be impossible to upgrade. 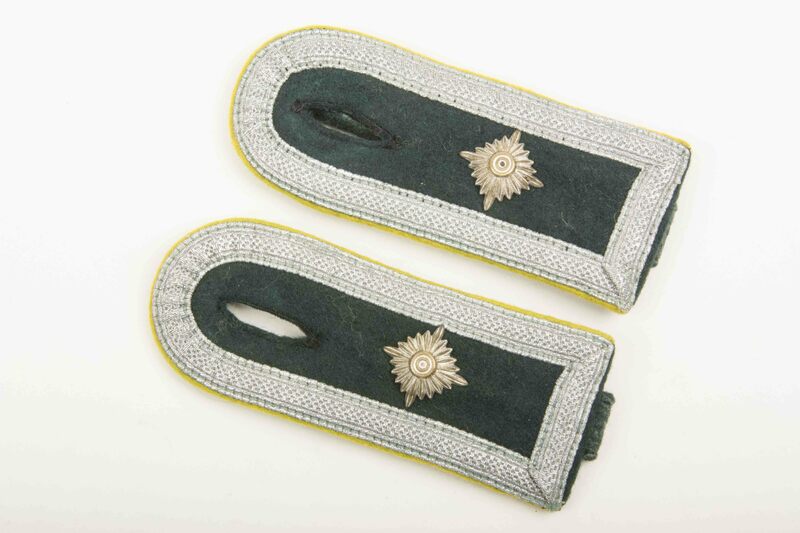 A great original set of shoulder boards intended for a Kanonier (EM) in a Artillerie unit. A nice set in very good used condition. 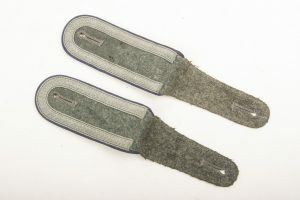 Nice pair of original privately purchased M36 shoulderstraps for a Feldwebel in a Nachrichtenabteilung. 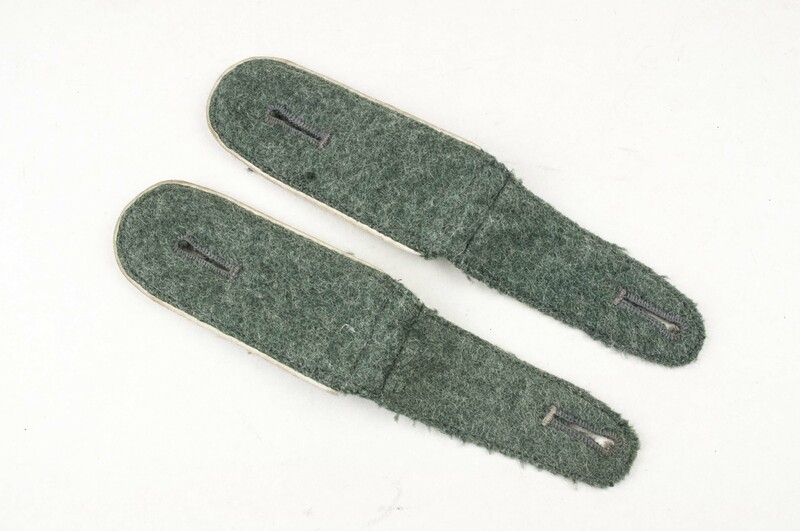 Nice pair of late war EM Schulterklappen for a Panzergrenadier in mint condition. Rayon piped and lined textbook construction. 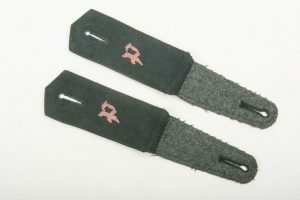 The shoulderstraps are complete with a set of chainstitched cyphers indicating Panzergrenadier Regiment 15. Nice set! 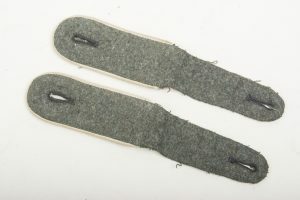 A very nice pair of yellow piped Luftwaffe NCO shoulderstraps for a Unteroffizier in the paratroopers or flying personnel. 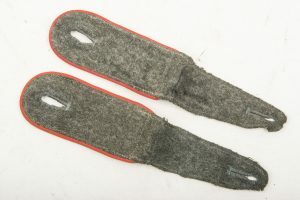 The shoulderstraps are complete with their yellow rayon piping and silver Unteroffizierstresse. Hard to upgrade set, perfect to complete a Fliegerbluse. 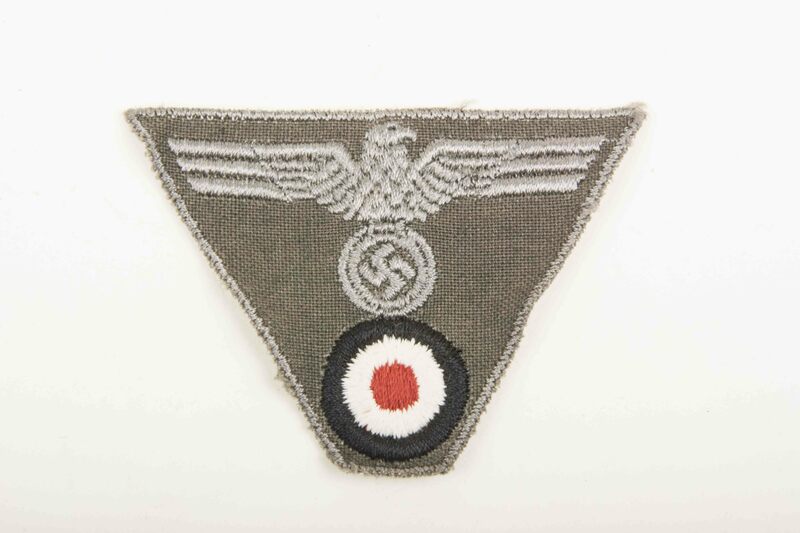 A nice original late war embroided Heer M43 cap eagle. Free shipping! 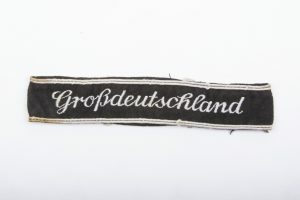 A nice original Großdeutschland cufftitle in very good condition. The cuff title is in good used condition with minor fraying to the so called Russian braid. The cufftitle retains its full original length! A very nice unissued shield made in BeVo. 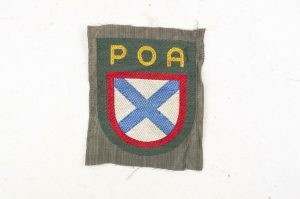 These shields where worn by Russian volunteers in the Russian liberation army or Русская освободительная армия. The shield is in unissued perfect condition. A nice addition to any insignia collection!